Welcome to our new Watercooler Wednesday challenge. 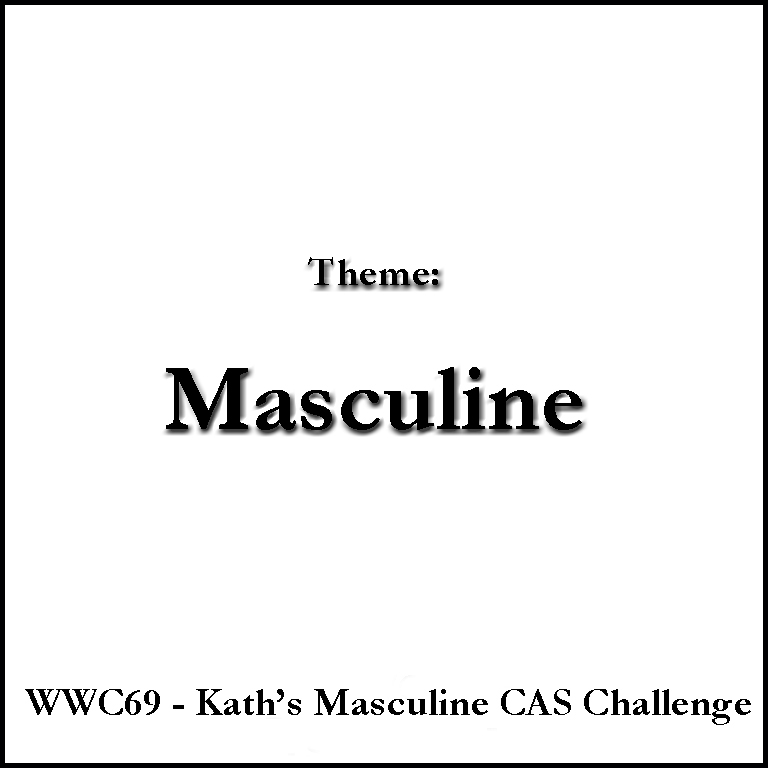 This week we feature a challenge that's perfect for this time of year, and that's Kath's Masculine CAS challenge. What is CAS? CAS is an acronym for "clean and simple". Generally speaking that would mean keeping layers to a minimum, leaving a great deal of white space, and having a minimal amount of embellishing or none at all. White space does not have to be white. It can be whatever colour the main layer of the card happens to be. Is that as clear as mud? 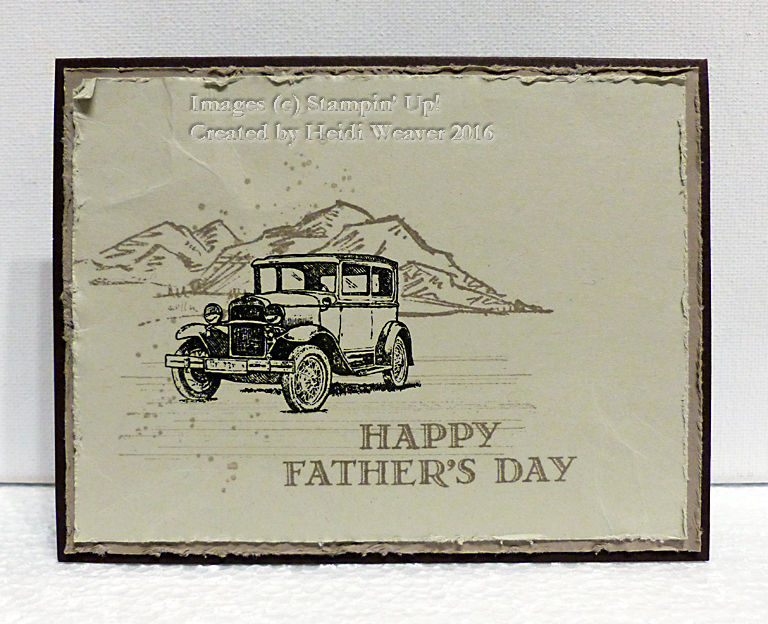 Well, with Father's Day coming soon, we hope to inspire you with some terrific samples by the Watercooler Artists. 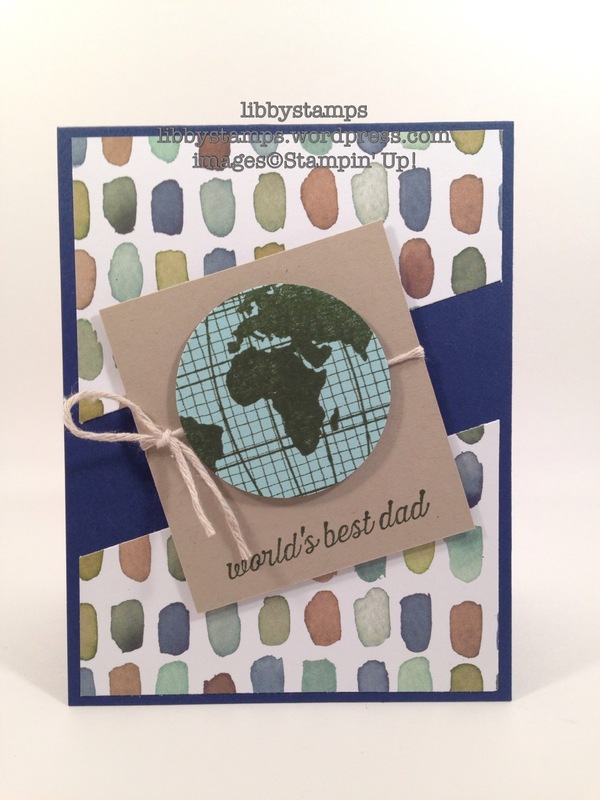 But first we are happy to announce that we have a Guest Designer for this week, Kathe Deck. In her words, "I'm part of a generations-long family of do-it-yourselfers, so I've been crafting since I could hold a pair of scissors. I've dabbled in most crafts but always came back to paper crafting. 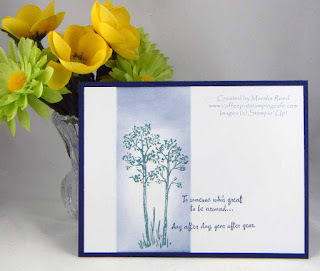 Card making is my particular favorite--I love sending a little happiness in the mail to family and friends, and it doesn't create any more things to dust at home. 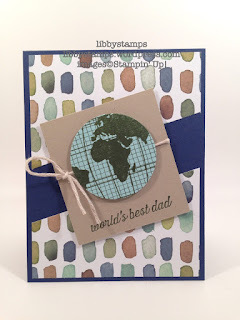 Ive been a participant at the Watercooler since its beginning (even when it was just a place to chat at the Stampin' Connection), and I'm thrilled and honored to have been asked to be a guest designer." 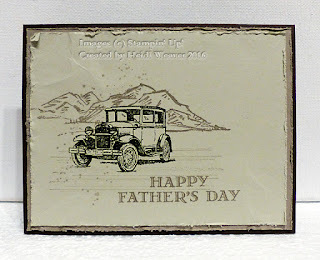 You can see Kathe's card is a perfect example of CAS: a card with clean lines, minimal elements, large areas of white space and no embellishments. And now it's the Watercooler Artists' turn. As usual, if you click on the name under each card, you can visit the blog post to see details on how the card was created. 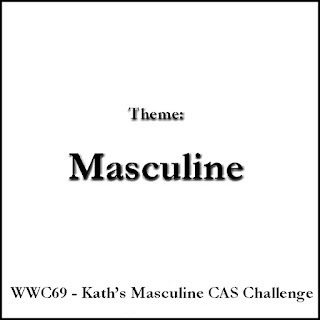 We begin with our hostess, Kath Ricks, who has used the Guy Greetings set simply and beautifully. Please use the link-up below to share your project. This Linky will close on Monday, May 30th at noon Mountain Daylight Time.